$6,300.00 $2,250.00 Only 1 Left! DON'T LET THIS ITEM GET AWAY! 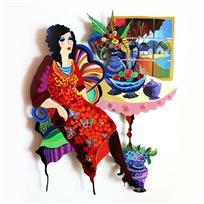 "Fruitful Life II" is an original painting on cutout steel by Patricia Govezensky. The piece is hand signed and comes with a Certificate of Authenticity. Measures approximately 16" x 24". Shipping and Handling: $64.95 FREE SHIPPING! Born in 1961 in Tel- Aviv, Patricia pursued her art career at an early age, enrolling in art courses sponsered by the Tel-Aviv museum. Patricia also took art and science courses at Tel-Aviv University, and went on to further her studies in art at the Avni Institute from 1982-1984. 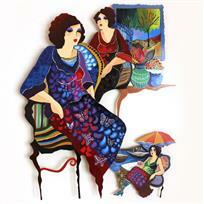 In 1987, Patricia graduated with honors from the Ramat Hasharon Art Academy. 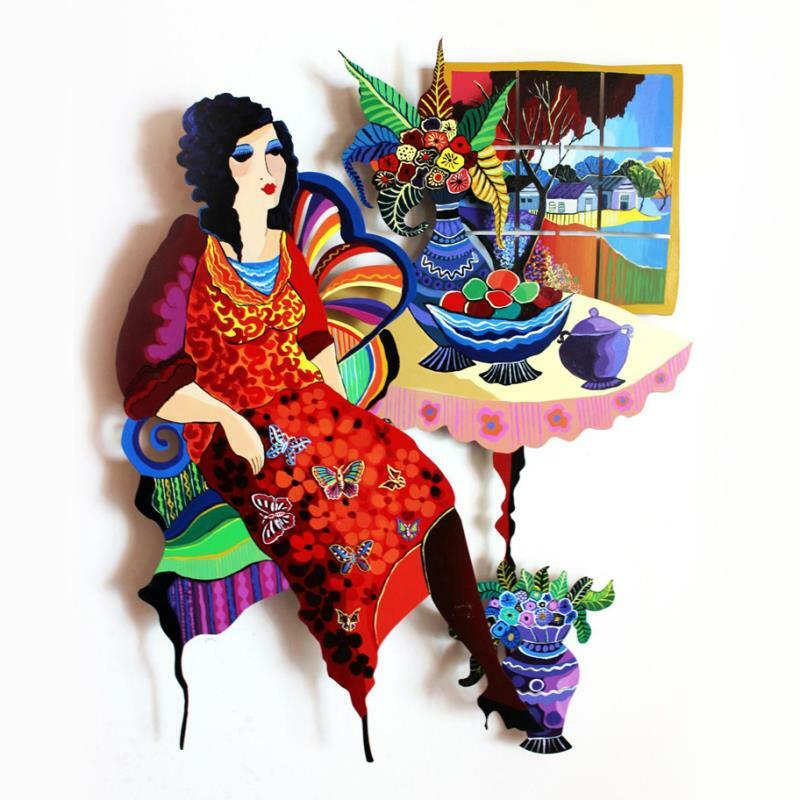 Patricia describes the motivation behind her colorful and female-centric artwork. "For me painting is a means through which I find expression of life's joy and fulfillment, and I believe art, more than merely being a means of expression itself, also serves as a medium to help us to make peace with our lives through positive and enthusiastic sentiments and regard for the brighter aspects of our existence, escaping form protest, cynicism and selfishness." 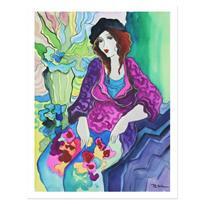 Patricia Govezensky, "Flower Shop" Hand Signed Limited Edition Giclee on Canvas with Letter of Authenticity. Patricia Govezensky, "Morning Breeze" Hand Signed Limited Edition Giclee on Canvas with Letter of Authenticity. 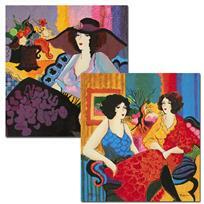 Patricia Govezensky, "Noa and Models Talking" Hand Signed Set of 2 Limited Edition Serigraphs with Letter of Authenticity. Patricia Govezensky - Original Watercolor Painting, Hand Signed with Certificate of Authenticity. you’ll be surprised what you can afford! © 2007 - 2019 Quality Art Auctions, INC. ALL RIGHTS RESERVED.